Have you been craving for deliciously unique tasting Thai Tea lately? Thai tea is made of some unique and rare premium spices which give it its distinct flavor. Our premixed powder, which comes in 18 lbs packs, is made from only premium quality Thai ingredients. 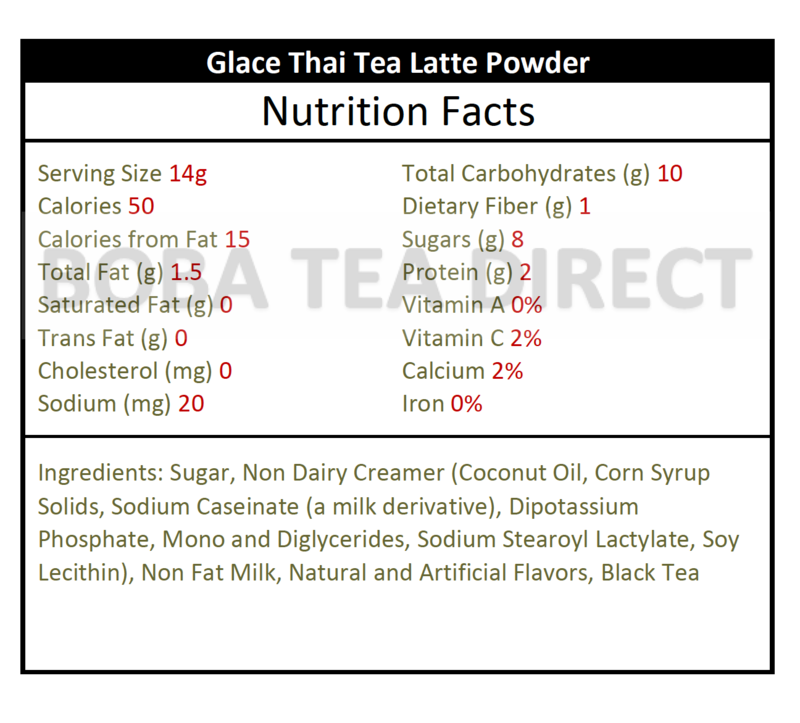 For a rich Ice Thai Tea, mix this powder with some water and ice and garnish with a few sprigs of fresh mint. Or blend with some ice, water and milk for a creamy tea frappe. Like this item? Try our Glace Vanilla Frost! These are great! Definitely will keep ordering.